CLIFTON PARK — Chanukah isn't the only time the Clifton Park Chabad gives back to the community. Jewish residents young and old in the region get a surprise visit from the 'Flying Challahs' in all seasons. His brother, Rabbi Abba Rubin of Saratoga Springs Chabad, carries on the same bread-giving tradition among Jewish residents in the Spa city, he said. 'Challah is a traditional Jewish food for Chabbos, or the Sabbath,' Rubin said. 'Jewish food in every country was cooked in the different tradition of that place,' whether it was adding pickles or other unique ingredients. When elderly residents are presented with Challah, the bread evokes memories of growing up in Europe, and stirs up memories of different recipes for Challah that are not heard of today, Rubin said. A Challah presented to younger people represents 'a new beginning,' he said. Clifton Park Chabad, which started in September 2005, sometimes receives a request to send a Challah to someone who would appreciate it, or for a special event. Other times, 'we surprise them,' Rubin said, and choose recipients randomly. Rubin delivers the Challah to people's homes on Friday mornings or afternoons. Those who would like to receive a Challah, or know someone who would benefit from one, can call Rabbi Yossi Rubin at 495-0772, or send an email to cliftonparkchabad@earthlink.net . CLIFTON PARK — Clifton Park Chabad celebrated its second Hanukkah in southern Saratoga County with the construction of a "can-norah." Members of the local chapter of the Jewish outreach organization stacked eight rows of donated canned foods in the shape of a menorah at a Hanukkah celebration at the Comfort Suites. Children glued the cans together and lit several lanterns. After Hanukkah ends Saturday, "the food can Menorah" will be taken down and its parts donated to the Regional Food Bank of Northeastern New York in Latham for distribution to the needy. The can-norah symbolizes Hanukkah's message of overcoming challenges and bringing extra light into the world, said Rabbi Yossi Rubin, 27, of Albany. "I think it's great," said Varda LeMonds, a town resident who brought her daughter to help build the can-norah, meet with friends and watch Jewish-themed cartoons. Rubin founded Clifton Park Chabad last September with his wife Leah. The organization has about 20 members and hosts various religious-based programs at the Clifton Park-Halfmoon Public Library, the Sportsplex in Halfmoon, Borders and the Comfort Suites. "We're looking forward to moving here and creating a Jewish outreach center for unaffiliated Jews to learn more about their heritage," Rubin said. He and Leah met in Brooklyn and have two children, Mussi, 2, and Mendel, 1. "My role would be helping in every possible way," Leah said. Rubin said he's received a welcoming response from the community. The couple share an orthodox approach to religion. "He's made quite an impact on the Jewish community in Clifton Park," LeMonds said. "It's an alternative to the reform congregation in Clifton Park." Last year, Clifton Park Chabad's "Chanukah Wonderland" at Clifton Park Center included a giant balloon menorah and an olive oil workshop. This week, it hosted a Hanukkah celebration at the entrance of Boscov's. The eight days of Hanukkah are observed by the kindling of the menorah each night of the holiday. Rubin views the menorah as a symbol of the state of Israel and also of unity. 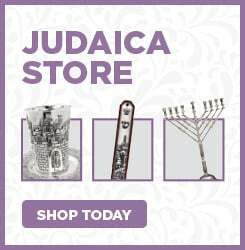 "In ancient times our ancestors rededicated the Temple in Jerusalem with the menorah. Today, we rededicate ourselves to making this world a better and brighter place," Rubin said. Clifton Park Chabad can be reached at CliftonParkChabad @earthlink.net.